The belt rounder TOOS is used for round moulding of soft rye, rye-wheaten and other sticky dough types. The belts running in opposite directions enable optimal shaping of round dough pieces. It is suitable for intermediate (before moulding of long loaves), as well as for final moulding of round loaves. The machine is also available in the automatic version. The possibility of varying the belt’s speed allows changing the rounding intensity. The belts are made of special materials preventing the dough from sticking. 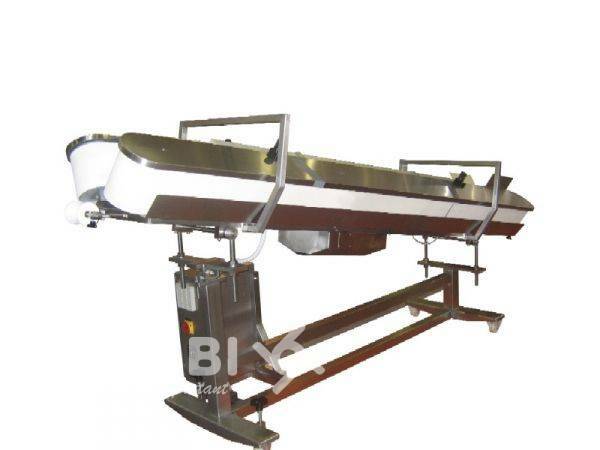 The installed flour dredger assures additional prevention of sticking. Castors make the machine easy to move. The possibility of height adjustment.